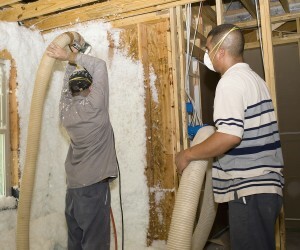 When you want foam insulation installed in your Austin, TX, home, you need to call 31-W Insulation. Meeting the insulation needs of our customers is at the core of what we do at 31-W. Our insulation professionals are trained and licensed to install all types of insulation, including spray foam, to provide you with a more comfortable and energy-efficient home. It seals the tiny cracks and fissures in your home that allow your conditioned air to escape, which costs you money as you use more energy trying to keep your home temperatures stable. Your HVAC unit will also not have to work as hard to keep you and your family comfortable. Spray insulation is an inert material that protects your home against water damage, mold, and mildew because it is water repellant and cannot support the growth of micro-organisms. Unlike batt, rolled, or blown-in fiberglass, or cellulose insulation, foam insulation will never settle or degrade. This means that you will never have to worry about installing more insulating materials in the years to come. Additionally, foam insulation installed in your Austin home can help you create a healthier breathing environment for you and your family. Because the tiny nooks and crannies are sealed, fewer outdoor pollutants like dust and allergens are able to enter your home, which may help ease the symptoms of allergy and asthma sufferers. As an added benefit, many homeowners find that installing this insulation results in higher re-sale values when they decide to move, which can more than make up for the installation costs. To learn more about installing foam insulation in your Austin, Texas, home, contact the professionals at 31-W Insulation.